What Are The Different Types Of iPad Cases And Covers? It is hard to believe that it has been several years since the iPad came on the market. Already there are thousands of iPad accessories that have already established themselves on the market in the short space of time. The most popular of these accessories iPad cases and covers. These case accessories for the iPad outsell all other accessories and they are simply used to store, protect, beautify and transport the tablet PC. There are basically 7 Types Of iPad Cases And Covers to suit every mood, requirement and preference. piel-frama-leather-case-magnetic-closure-2As already stated, iPad cases are the most popular iPad accessories and the number one type of these cases are leather. There are all types of leather cases from different sources. From calf leather to crocodile skin leather. You can get eco-friendly versions of iPad leather cases that utilize vegetable matter in the finishing tan. You have to be careful when buying what is called leather case for iPad as there is genuine leather and synthetic leather. If you don’t mind the type of leather, whether natural (genuine) or man-made, then you don’t have to be particularly careful; however, if you really want genuine leather, you have to make sure the product is identified as genuine leather as there are many leather iPad accessories marketed as leather but are actually synthetic leather. hard-candy-squish-greenThe iPad hard case is made of tough material to give your iPad the ultimate protection from damages, particularly hard knocks or falling from your hands, tables and so on. It is particularly useful if the iPad is being used in rough situations or when it is being used by very young persons who are prone to these accidents. iPad wood case are getting popular as there are people who are extremely environmentally conscious or sympathetic to the lives of animals whose skins are being used for leather. They would prefer a more humane material for carrying their iPad. There are also persons who just like the look of wood. Wood cases for iPad provide tough exterior protection for iPad but they are not so great with internal protection. They are actually a type of hard case, but deserve their own categorization. Touch screen is not for everyone or every situation for that matter. It can get tedious to be tapping at your pad when typing a long document. 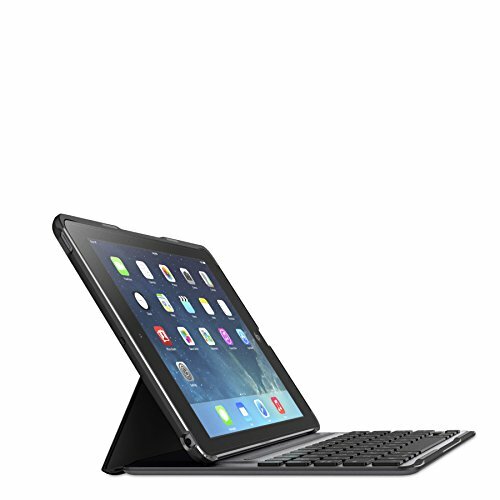 This has made it necessary for some users to have an iPad case with keyboard to allow them to protect the iPad with the case and type using the attached keyboard. It is the typical ‘kill two birds with one stone’ accessory. It is perfect for users who do a lot of typing such as journalists, bloggers and secretaries. iPad stand case has become popular due to its function of allowing hands-free viewing on the iPad which suits movie viewing. These cases for iPad also sometimes come preset at the perfect angle for touchscreen typing. The stand is integrated in the case using notches and tabs that see the case easily converting without any need for additional accessories. These are sometimes classified as cases and from my experience the classification varies from individual to individual. They are sometimes referred to as iPad skin cases but they are really thin cases that fit tightly on the iPad. iPad Skins are mostly made from silicone and remove the bulk from the iPad so it feels as if no case has been added. They allow you to choose from thousands of designs and to also buy custom iPad skins, where you can upload your own images to companies who will convert it into your own custom skin. iPad Sleeve case is a little bigger than the standard ipad case but not big enough to be called an iPad bag. They are more like carrying cases in which you slip your iPad in or out. This is not the best protection for your iPad, but is great for transporting your tablet pc. What About A Waterproof iPad Case? Do you do a lot of work near water? If so, you may want to consider a waterproof iPad case for your protection. The waterproof case seals out the water from your iPad, giving you protection from the potentially damaging water. Neoprene is a material used to make diving suits and it is one of the materials used to make iPad cases waterproof. The most sensitive part of your iPpad is the screen and you may want to give yours extra protection be getting an iPad case with cover. The iPad hard cover will give you extra protection as the bottom of the case will protect the back and sides and the cover will shield the screen. iPad cases continue to outsell other iPad accessories as there will always be a need to protect each and every single iPad. Out of the box, the iPad is a fragile gadget that can easily break if dropped or not handled properly. Getting the right iPad case is crucial. Whether you get a iPad hard case, leather case, wooden case, case with stand, skins, sleeves, it is best to get the right case, depending on how you use your iPad.